Whether you're building one website or one hundred, you'll want to pick a lightweight, versatile theme that you'll enjoy working with. The Beaver Builder Theme is well coded, well documented, and comes with a large community of experts. Oh, and a pretty nifty Page Builder plugin, too! Simple but powerful is our mantra. All the features you need without any of the fluff. We take pride in offering stellar support. Our team of experts are ready to help you. Responsive HTML5 markup means your sites are easily slurped up by search engines. 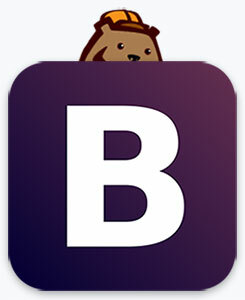 The Beaver Builder Theme supports WooCommerce right out of the box. Typography matters and we make it easy to select and load Google Fonts. The numbers don't lie. Hundreds of thousands of happy websites are running Beaver Builder Theme! Several header and footer layouts that can be selected with the click of a button. We have an active community of smart and talented web designers waiting to meet you! 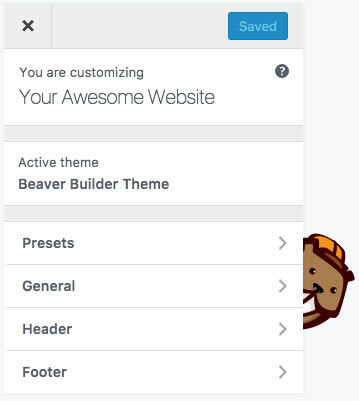 The Beaver Builder Theme was engineered to be manipulated and extended! 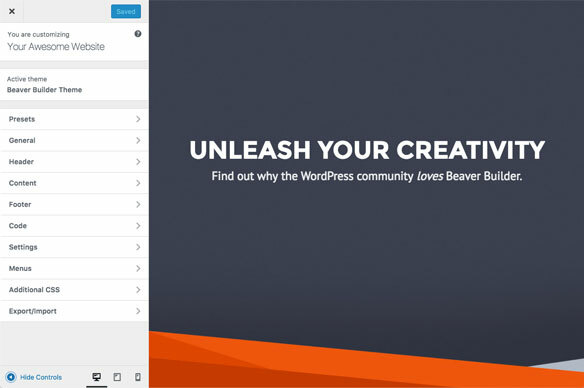 Thousands of web pros just like you choose the Beaver Builder Theme for their projects. "I use the Beaver Builder Theme because it's lightweight, well coded and covers all the usual layouts one would require." "It gives you all the most used options for header and footer design. It's SIMPLE and the theme files are a breeze to update for custom designs." 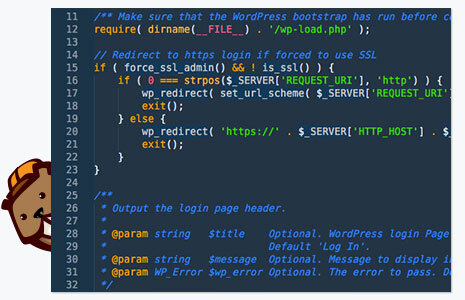 "I like to keep things really simple and just use Beaver Builder Plugin + Theme. I love the BB Theme's approach to the Customizer. Super intuitive and easy to use." "I like the fact that it's made by a team that I trust to be around for a long time, and will work 100% with the plugin that I use literally every single day." "I use BB Theme and Plugin exclusively and it has literally changed my life! It's fast, simple, easy and what extras I need I can generally do with CSS." "I build a lot of sites, and I like to keep a consistent workflow. Beaver Builder is well supported, understands their clients and is in it for the long haul."